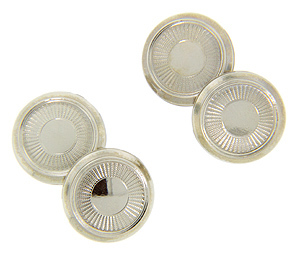 Lines radiating out from the polished centers add ornamentation and geometry to these antique 14K white gold cuff links. 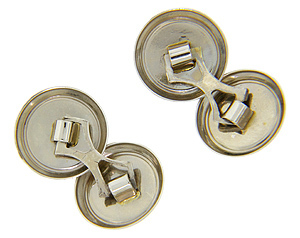 The cuff links measure 1/2" in diameter. Circa: 1900.